Two ships have caught fire while moving through the Kerch Strait separating Crimea from mainland Russia, after one of the vessels was apparently rocked by an explosion. At least one sailor has died, Russian Maritime Agency said. 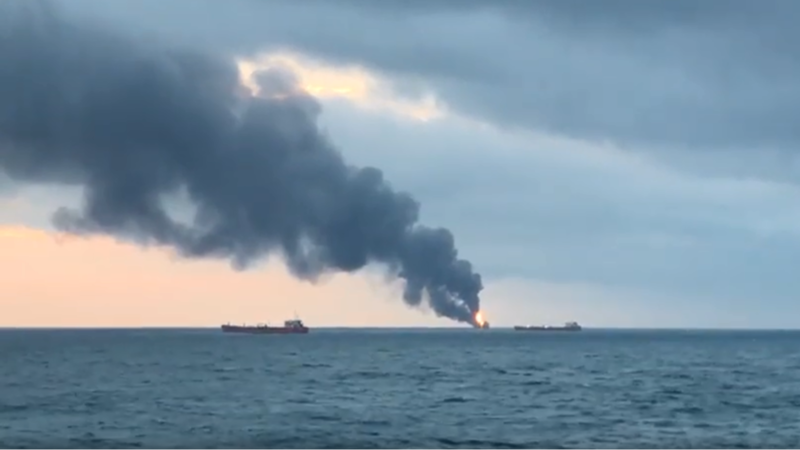 One vessel was “allegedly struck by a blast,” which caused fire that then spilled over to another ship, an official with the Russian Maritime and River Transport Agency said. Sailors from the burning ships were seen jumping into the sea, where they were being picked up by rescue vessels. One person died and more than three dozen sailors were rescued. The crews of the affected ships consisted of 17 and 14 people, including Turkish and Indian nationals. Both vessels were flying Tanzanian flags. One of them was reportedly transporting liquefied natural gas.